iBall has introduced yet another budget voice calling tablet, the Slide 7236 2G. 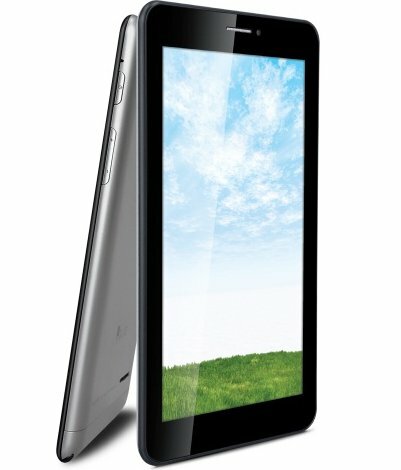 The 7236 2G comes with 1.3GHz Dual Core processor and Android 4.2 OS. It has 7 inch display with WVGA resolution . Life other Slide tablets it also comes with Dual SIM support but with 2G network. The tablet has 7 inch display with 800 x 4280 pixels resolution. It gains the strength from 1.2 Ghz quad core processor paired with 512MB of RAM. It packs with a 2 MP rear shooter and a VGA front camera. The Slide 7236 2G has 4G on in built storage, out of which 2GB is assigned for system and rest of it is for user. Also you can expand the storage via inserting micro SD card up to 32 GB. It offers 2G, WiFi, Bluetooth, GPS / a-GPS, FM radio and micro USB connectivity with OTG support. There is 2500mAh battery to make the tablet alive, which would not enough in many cases. It will compete with recently launched Simmtronics Xpad Turbo. You can make voice calls, send / receive text messages and surf internet. The Slide 7236 2G is priced at RS. 7,499.